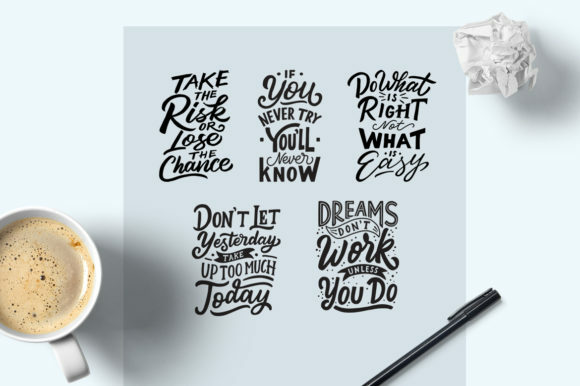 Here is some hand lettered quotes collection. You can use this for wallpaper, poster, tshirts, label stickers, gift cards, covers, printed paper items etc. 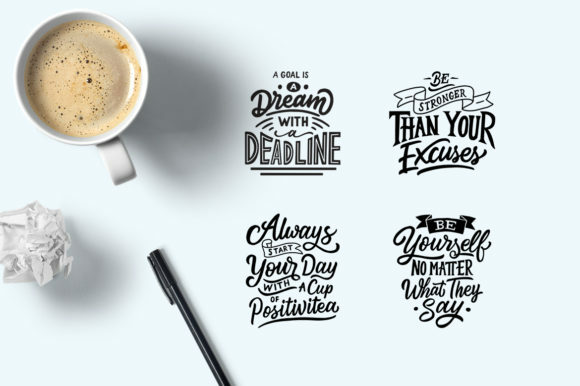 You will get 9 lettering designs in various formats. 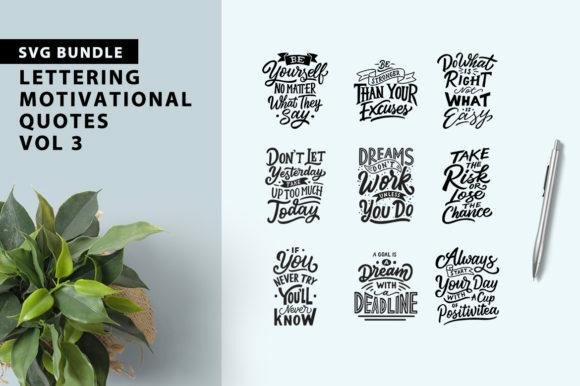 All hand lettering in Vector Format ( EPS, SVG, DXF, PNG and AI ). 9 AI files – For Adobe Illustrator. 9 SVG files – For Cricut Explore, Silhouette Designer Edition, Adobe Suite, Inkspace, Corel Draw and more. 9 DXF files – For Silhouette users, this format can be open with the free software version of Silhouette. 9 EPS files – For Adobe Illustrator, Inkspace, Corel Draw and more. 9 PNG files – transparent background, 300 dpi.